Diane E. Glinka, of Dunstable, September 23, 2018, surrounded by her family, after a sudden illness. Loving mother, sister, teacher, friend. Born in Princeton, NJ to Elizabeth N. Glinka and Matthew J. Glinka, Diane was a graduate of Princeton High School and Boston University School of Fine Arts, and received her Masters in Education from UMass Lowell. Devoted mother to her adored children, Michael McAuliffe and Emily McAuliffe of Dunstable, loving sister of Elaine Glinka of Cartersville, GA, Charlotte Glinka and brother-in-law Charles Alexander of Boston, and Sarah Glinka-Endicott of Ann Arbor, MI. Also survived by her newfound love, Eric Leonard, as well as her niece, nephews, cousins, and many close friends. Vibrant and talented school teacher, and creative and supportive colleague, most recently at the Groton-Dunstable Regional Middle School. 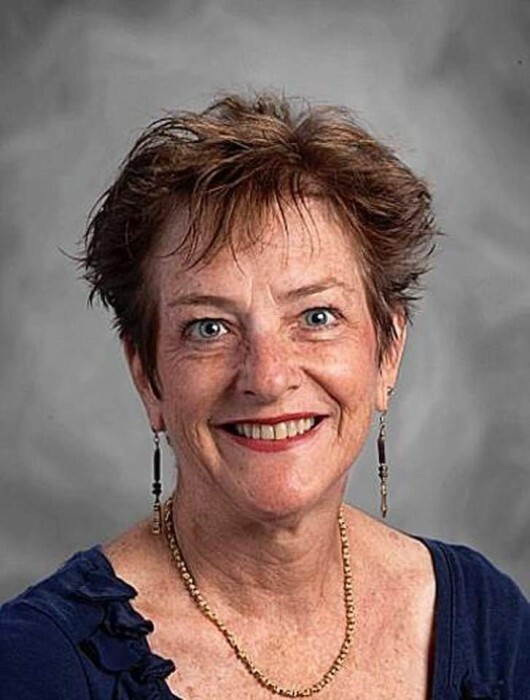 Her students often said she was their favorite teacher. Avid golfer with a great group of friends at the Long Meadow Golf Club. Passionate about music, especially Motown, Aretha, the Beatles, and Jazz. Private piano teacher, accompanist at St. John’s Baptist Church in Woburn, and former piano player with the Old Enuff to Know Better Band. A star has gone out in the night sky, and the world is dimmer now for all who love her. In lieu of flowers, you may make a donation to a fund that will be used to help teachers pay privately for school supplies that are not in the school’s budget: Groton-Dunstable Regional School District, 344 Main Street, Groton, MA 01450, Memo Line: Diane Glinka Fund. Celebration of Diane’s life, Thursday, September 27, 2018, 4:00-8:00 PM at the Long Meadow Golf Club, 165 Havilah Street, Lowell, MA.